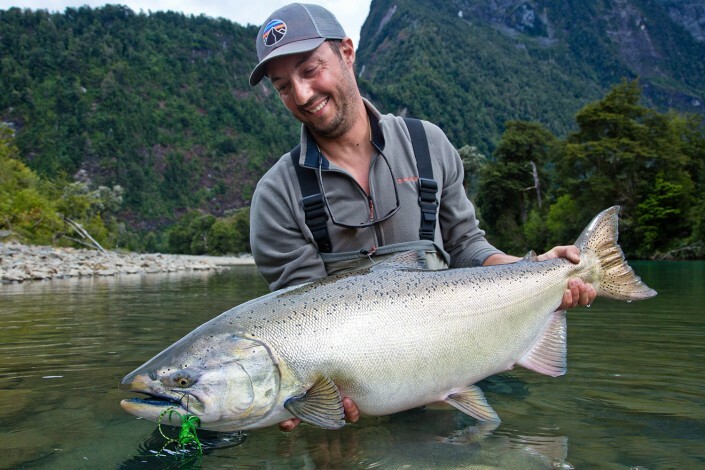 It would be hard to imagine a more visual fishery for king salmon that what we have found at Austral Kings. In this clear free flowing river the salmon seems to roll more than elsewhere. 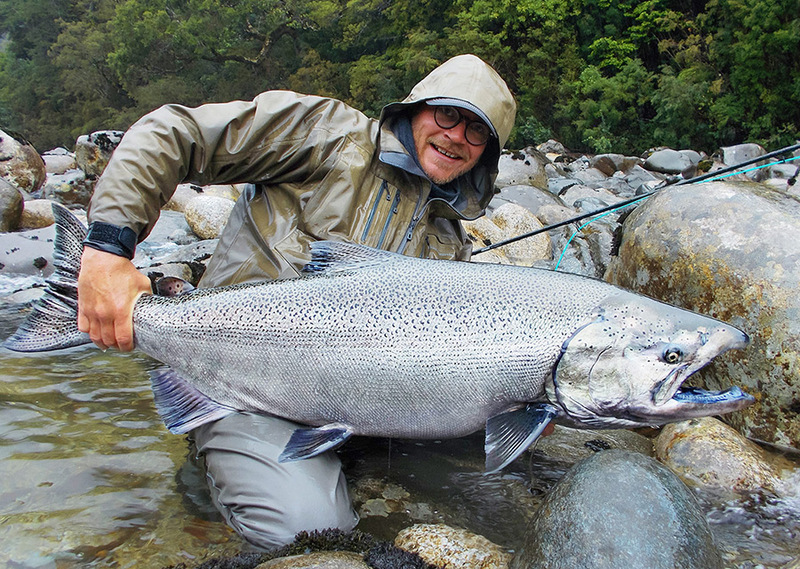 We don’t have to tell our clients that they are fishing on an enormous return of kings – they will see so themselves. We mainly fish two handed rods while wading. 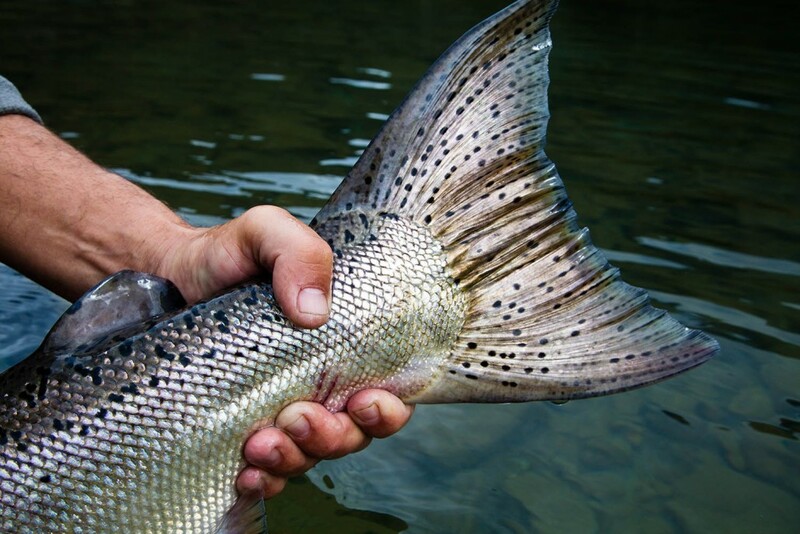 However, we soon found out that every guide and his two anglers must have a boat at the ready, in case they need to follow a big fish (yes, we were spooled on a couple of occasions during our first season!) – and it didn’t take us long to realize that the boat can also be very effective in opening up productive water that would otherwise be unreachable. 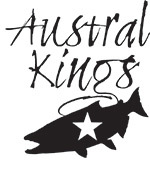 The fishing at Austral Kings is mostly about reading water (or following the guide’s instructions) in order to get the fly to perform the right swing at the right depth – right in front the fish. Sometimes this calls for heavier sinking lines. The fishing is generally demanding. Despite the high number of fish in the river there are times where the kings are very hard to catch. At other times, usually following a change in the weather, fishing can be red hot with several big fish hooked in a few hectic hours. If the fishing is slow it does help a lot that the scenery is breathtakingly gorgeous – and that the fish you eventually will hook are fresh, strong and in the 20-60 pound class. They are worth waiting for. We fish from first light until noon when we return to camp for lunch and a siesta. When we go back on the river we normally fish till sunset.